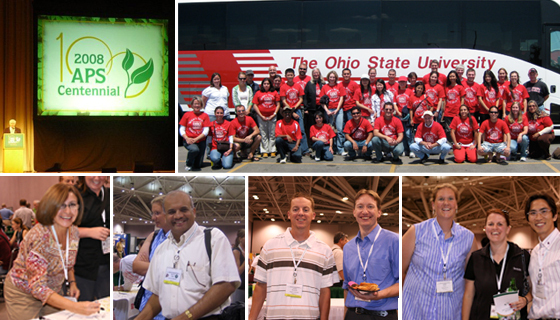 We invite you to connect with us by participating in teaching and Extension activities, hosting tours, providing job shadow opportunities, giving seminars, or hiring and referring students and employees to Plant Pathology. The CFAES Alumni Society received Honorable Mention recognition from The Ohio State University Alumni Association in recognition of the society's activities. The award was presented at the Alumni Leaders Conference on October 8, 2010 in Columbus. 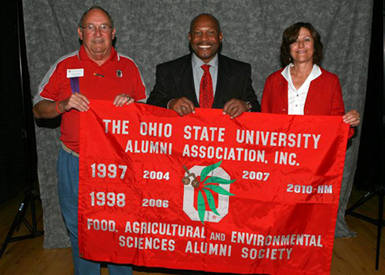 Left: 2011-2012 CFAES Alumni Society president and plant path alum Jim Leonard (left) with Archie Griffin (center), President/CEO, The Ohio State University Alumni Association and Ann Ball, 2010 CFAES Alumni Association president. 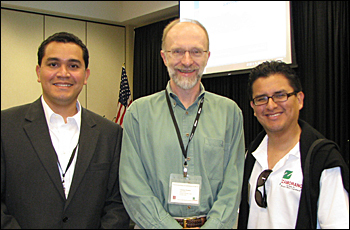 First Annual Symposium of Zamoranos in the U.S.
OARDC, Wooster - May 21, 2012 - Jorge David Salgado (left) and Christian Cruz (right), alumni of Zamorano University in Honduras, are pictured with Larry Madden at the First Annual Symposium of Zamoranos in the U.S. Over 50 students and scholars from nine Latin American countries and several U.S. states, including Ohio State, Purdue University, Louisiana State University and Kansas State, attended the event hosted at OARDC in Wooster. Many alumni of Zamorano University, or "Zamoranos," come to the U.S. to pursue graduate studies or employment in agriculture. The goal of the symposium, which included oral and poster presentations, was to showcase the scientific contributions of Zamoranos and highlight the many mutual benefits between Zamoranos and their U.S. and Latin American connections. 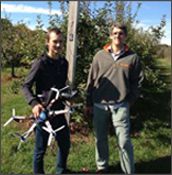 Salgado is a PhD student in the department and Cruz is an Ohio State alumnus (MS 2008) and currently a PhD student at Kansas State. Adipala Ekwamu was awarded a 2010 CFAES International Alumni Award for his leadership in transforming agricultural development in Africa through research and education. Ekwamu is the Regional Coordinator of the Regional Universities Forum for Capacity Building in Agriculture (RUFORUM). 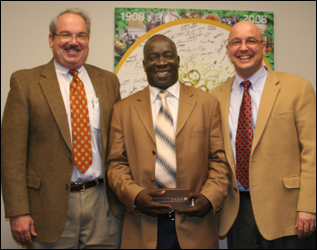 Photo, left to right: Mark Erbaugh, director, International Programs in Agriculture; Ekwamu; Mike Boehm, vice provost. 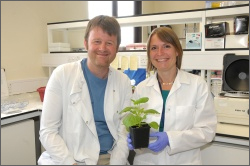 The 2008 American Phytopathological Society Centennial Meeting was a special celebration honoring a century of accomplishments in plant pathology. It was also a great gathering of alumni and friends, July 26-30, Minneapolis. Blair F. Janson, faculty member from 1950-1976, established the Blair F. Janson and Wilmer G. Stover Scholarship with an endowment that will fund travel grants for undergraduate and graduate students. 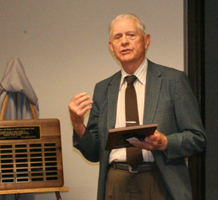 Dr. Janson was honored in Columbus on July 24, 2008.